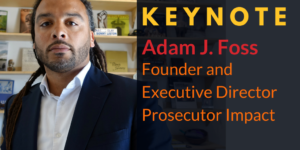 Parenting Journey is proud to share that the founder and executive director of Prosecutor Impact, Adam J. Foss, will deliver the keynote remarks at our inaugural Social & Family Justice Institute! Adam J. Foss is a former Assistant District Attorney in the Juvenile Division of the Suffolk County District Attorney’s Office in Boston and a fierce advocate for criminal justice reform and the importance of the role of the prosecutor in ending mass incarceration. Don’t miss out on hearing Adam’s remarks — reserve your tickets now! The Social & Family Justice Institute will take place on Monday, Oct 22 from 8:30 – 12:30 at the Westin Copley Place in Boston. Adam believes that the profession of prosecution is ripe for reinvention, requiring better incentives and more measurable metrics for success beyond simply “cases won.” This led him to found Prosecutor Impact — a non-profit that provides training for prosecutors to help them reframe their role in the criminal justice system. During his nine years as a prosecutor, he collaborated with the courts and the community to develop programming that continues to have a positive impact on the neighborhoods he worked in. His work was was featured in CNN’s 2018 documentary “American Jail,” and in 2017, the Mandela Foundation named him Nelson Mandela Changemaker of the Year. We’re thrilled to have Adam offer his perspective on how providers and policymakers can deliver services and advance pro-equity policies in partnership with parents and families. 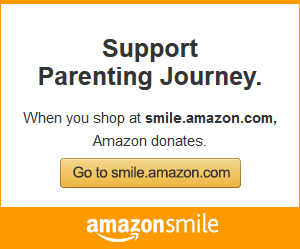 Click here to order your ticket for the Social & Family Justice Institute!